Facilities Wynne Hall/Chilham Tennis Club. Danny Wynne is the head coach at Chillham Tennis Club and Whitstable tennis club, Tankerton. Danny also coaches at a number of schools in the south east as part of the DWTA outreach program which inspires children to live an active and healthy life through Tennis. 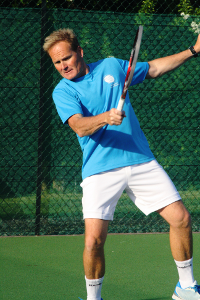 Danny Wynne aims to provide excellent and professional tennis coaching programmes at various tennis clubs, schools and centres in East Kent and Swale for all ages and abilities from junior and adult beginners to experienced and advanced tournament competitors. Danny is qualified as an LTA Level 4 Senior Club Coach, PTR UK Performance Professional and a Stonebridge Academy Professional.